Painted just outside Arles by Vincent Van Gogh, Harvest in Provence is a vibrant depiction of the harvest season in South of France, during the late 1880s. "Yes!! It looks great. I plan to have it framed Tuesday. 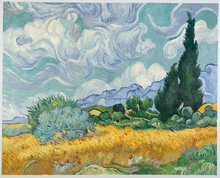 Thanks - Dina"
The painting, Harvest in Provence, has been perfectly reproduced by our highly talented artists who have studied Van Gogh’s techniques for years. 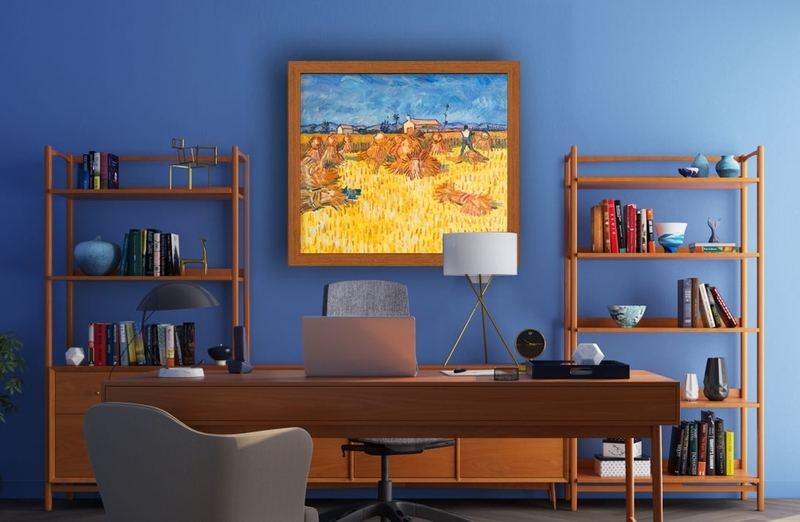 Harvest in Provence is inspired by the wheat fields in Arles. 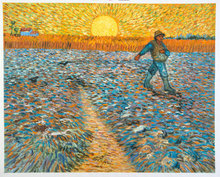 In fact, Van Gogh was so inspired by the agricultural part of Arles, that he dedicated the entire Harvest series to it. Discontented with his life in the Netherlands, Van Gogh moved to Arles, South of France in February 1888. He was fascinated by the light and landscape in Arles, which is clearly depicted in his paintings through rich mauve, yellow, and ultramarine colours. A relaxed version of the Harvest series, this painting shows a clever use of colours to depict the heat and dryness during summer in Arles. Harvest in Provence is also referred to as the Corn Harvest of Provence or the Grain Harvest of Provence. 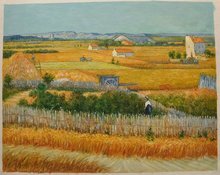 The painting shows harvested wheat and a farmer engrossed in his work in the foreground with houses and trees in the background. 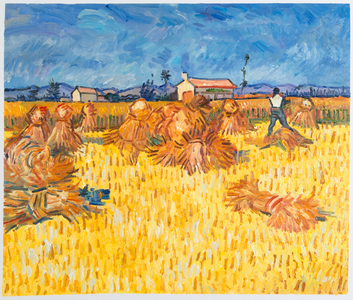 The series of Harvest paintings was a result of Van Gogh’s connection to nature. He appreciated manual labourers and wanted to comfort them in some form. 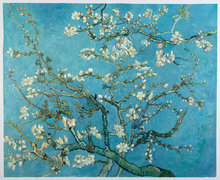 Hence, he moved on from the plain Wheat Sheaves to more vividly coloured paintings in 1888. He would at times work in scorching heat to capture the true essence. I would like to thank you very much for the reproduction of Van Gogh’s Harvest in Provence that one of your artists painted. I love the colors and details of the painting. This painting was commissioned for my 55th birthday by my family and will have the pride of place in my home for many years. It looks great. I plan to have it framed Tuesday.